Diet Pills Watchdog | Complete Thermogenic Review, Scam? First published Jan 4, 2015. Whilst some weight loss products have ridiculous names that do not infer how the product works to aid weight loss, other companies go for a more direct route when naming their products. Complete Thermogenic from Bulk Powders is the latter type of weight loss aid, containing ingredients that completely match the product name. We take a look to see how effective the selection of thermogenic ingredients used in Complete Thermogenic below. Bulk Powders are the manufacturers and sellers of Complete Thermogenic. 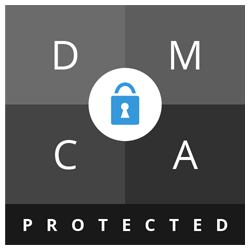 They are a UK company that opened in 2005, who operate entirely online. They save customers money by selling directly to them, rather than operating through third-party retailers who add their own mark-up. Despite their low prices, they claim not to compromise on the quality of their products, using ingredients with high purity levels and strong extracts that are tested independently to ensure their quality matches the claims made by their suppliers. Customers who want to contact Bulk Powders’ office can do so via the following contact details. The BulkPowders.co.uk office is closed on weekends & UK public holidays. What Does Complete Thermogenic Claim To Do? Complete Thermogenic™ can improve your performance, whether it be in or out of the gym, via its inclusion of Caffeine; which contributes to a reduction in perceived exertion as well increasing endurance performance. So What Is Complete Thermogenic and What Are The Ingredients? 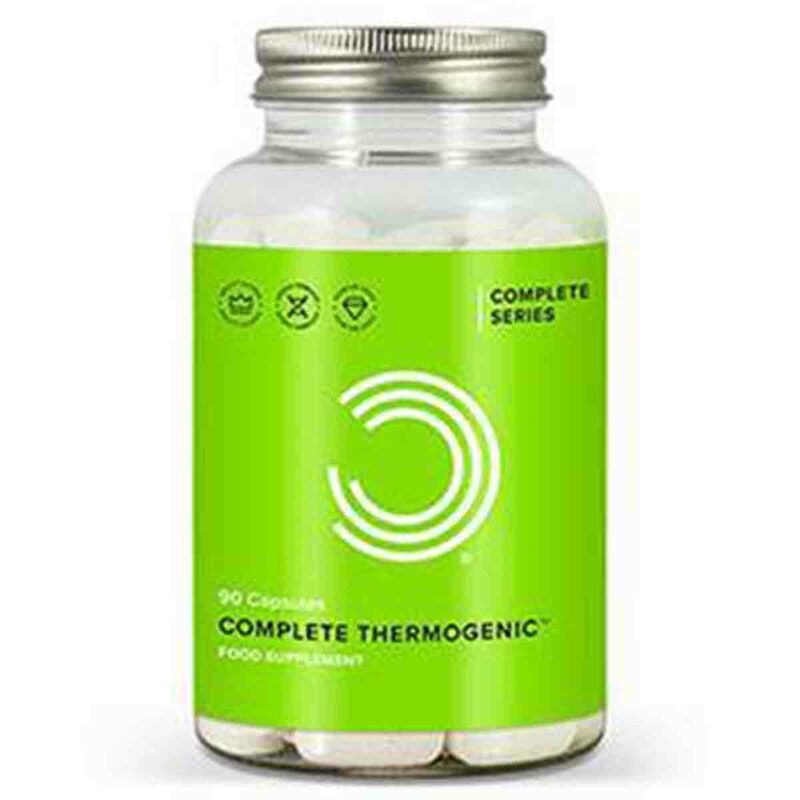 The manufacturers of Complete Thermogenic provide a complete ingredients list that also includes ingredient quantities. The quantities listed below are per three capsules, which is the daily serving of this diet pill. Citrus Aurantium (450mg): Also known as citrus aurantium, this ingredient contains synephrine. A review of numerous studies concluded that use of synephrine resulted in an increase to the participants resting metabolic rate and energy expenditure, and moderate weight loss was seen in studies lasting over 6 weeks. However, there are some concerns about its safety being under-researched and the numerous side effects that have been associated with it. Green Tea 95% (300 mg): The highest strength Green Tea Extract has been included, containing an unrivalled 95% EGCG content. Green tea is high in a group of antioxidants called catechins. Studies have suggested that catechins and caffeine both increase energy expenditure by boosting the metabolism temporarily. However, the metabolic increase caused by green tea is limited. One study found that the use of green tea was not enough to counteract weight gain following a very low-calorie diet. Caffeine (300 mg): Numerous studies have shown that caffeine boosts energy levels and alertness, as well as mildly boosting the metabolism, causing a small increase in the number of calories used by the body. The effects shown in studies are small, and some studies are inconclusive. Raspberry Ketones (150mg): Raspberry ketone is the part of a raspberry (and other fruits) that provides the distinctive smell of raspberries. Whilst it can be extracted from the fruit, especially for use in food flavourings and perfume production, it is much cheaper to synthesize it in a lab, especially for the large quantities that are required for use in raspberry ketone supplements. Whilst there is a small amount of evidence that raspberry ketone can cause weight loss in rats, there have never been any human trials on the potential weight loss effects of raspberry ketone. The safety of using such large quantities of raspberry ketone has also never been fully researched. Cayenne Powder (150 mg): Capsaicin is found in Cayenne pepper and is thought by some to play a role in weight loss. Some studies suggest it could suppress the appetite mildly, whilst others suggest that the heat causes a thermogenic reaction in the body, burning more calories for a period of time. However, there are also studies that show cayenne has little or no effect upon weight loss attempts. Tyrosine (200 mg): An amino acid that is a building block of protein, this ingredient is found naturally in many foods including meat and dairy products. Some people use it as an appetite suppressant, but there is little evidence that it is effective for this use. Large doses of tyrosine may be useful for increasing alertness, especially in people who are sleep deprived. Theanine (150 mg): This amino acid is found in green tea, and may play a small role in weight loss, as well as increasing feelings of relaxation. It may also reduce the negative side effects of caffeine, although there is seemingly no clinical evidence to support this claim. BioPerine® (5 mg): This patented Black pepper extract is used for increasing the bioavailability of nutritional compounds. In other words, it increases the amounts of nutrients that are absorbed into the body in the digestive tract. It may also increase the absorption of various drugs, which may lead to potential side effects. Chromium Picolinate (1 mg): This is used primarily to lower fasting blood sugar levels and to lower insulin levels in people who have type 2 diabetes. In terms of its potential effect upon weight loss, it is possible that taking chromium picolinate by mouth for 2 to 3 months might produce a small weight loss of about 1.1 kg. Obviously this is an incredibly small amount of weight loss, but studies are still inconclusive. Whilst citrus aurantium has been proven to aid weight loss, concerns about its safety have been raised by some groups, including the mayo clinic. However, at present this ingredient is still legal, with no signs of this changing in the near future. Many of the other ingredients used in Complete Thermogenic are also proven to aid weight loss by boosting the metabolism, and have a better safety profile than Citrus Aurantium- for example, green tea, caffeine, theanine and cayenne pepper. Chromium Picolinate has also been proven to aid weight loss, although its effect are small. Raspberry ketone has only been tested in animals and test tube studies, and so its effects may not be replicated in humans when consumed as a supplement. Does Complete Thermogenic Have Any Side Effects? There are some ingredients in Complete Thermogenic that can cause a variety of side effects. Customers have reported in reviews that nausea and feeling sick is fairly common if the diet pills are consumed on an empty stomach. Eating a meal with the capsule reduces this immensely. Customers who do not regularly consume caffeine, or who are sensitive to stimulants are more likely to experience side effects. Side effects associated with caffeine include headaches, increased urination, jitteriness, dehydration, increased blood pressure, heart palpitations and problems sleeping. Caffeine in turn enhances the effects of citrus aurantium, which carries its own set of side effects, including increased heart rate and increased blood pressure, heart palpitations, fainting, and even heart attack and stroke in healthy patients. Bioperine is known to increase the absorption of numerous medications, which can lead to accidental overdose when taking normally safe doses. 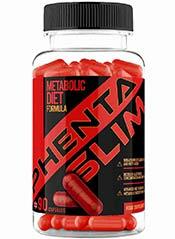 It may also increase the effects, both good and bad, of the other ingredients in this diet pill. Chromium can lower blood sugar levels. Whilst in many cases this can aid weight loss by regulating hunger cravings, diabetics should avoid using chromium supplements, as it can interfere with their medication. Diabetics who want to control their blood sugar levels whilst dieting and using a diet pill should consult their doctor before buying any product, and monitor their blood sugar levels. This product should not be used by those under the age of 18. Anyone with a sensitivity to stimulants should avoid the use of this product. Not suitable for those who have health conditions which they are receiving medical treatment for, as Bioperine affects the absorption of medications. Those who have cardiac related health issues such as high blood pressure should also avoid this diet pill. Not suitable for diabetics. Any Complete Thermogenic Reviews From Customers? There are numerous customer reviews of Complete Thermogenic on the Bulk Powders official website. Overall the reviews are incredibly positive, although some customers mention that they need to eat immediately after consuming each tablet because otherwise they feel nauseous. Although I cannot single out the product, either this, my training or my diet has taken about 5kg from me in 3ish weeks. However before this I was still training and on a clean diet therefore it seems it was this that has reduced my mass significantly. Would recommend and what a price. The only negative is of you take it on an empty stomach then don’t eat for 20/30 mins it makes me feel quite sick – haven’t been yet just a nasty feeling for 5ish mins. I started a month a ago taking only one capsule a day with empty stomach. I have less cravings, eat less bad stuff and I lost 5 kilos. This product is amazing. As a performance nutritionist myself, responsible for many professional athletes, I’m not taken in by the fad products that proclaim to help you lose 10lbs of fat in a matter of days. Physiologically this just isn’t possible, and the sooner that people realise this, the better! What I like about this product, and the rest of BP’s products for that matter, is that there is no hard sell or outrageous claims. Instead, this product just focuses on including core ingredients such as Caffeine, Green Tea, Tyrosine, Citrus Aurantium & Raspberry Ketones, all of which are solid ingredients, with research and science behind their inclusion. I’m also a fan of BioPerine. It doesn’t say this in the description, but that little ingredient ensures that your body absorbs and utilises all the other ingredients, thus maximising any potential benefits. To credit BP further, they also list all of the ingredients and their respective dosages. This is why I’m happy to use it myself and include it in my athletes supplement regimes. You should always know what you’re putting into your body… I avoid supplements where this information isn’t communicated. Don’t get me wrong, this product isn’t a miracle by any means, but if you you use it in conjunction with exercise and a calorie controlled, you WILL lose fat. Finally, at under £14 versus most fat burners priced in the region of £30 minimum, the price is unrivalled. I’m hesitant to say this, but I’d happily pay £30+ for this all day long. Please don’t put the price up though Mr Powders! So Does Complete Thermogenic Work? It appears from the customer reviews that this product does aid weight loss, and the results can be impressive when combined with a good diet and exercise program. The only reported side effect is completely removed when consuming the product just before a meal, rather than letting it digest on a completely empty stomach, which is encouraging. The ingredients list also confirms that the product should aid weight loss. There are a few ingredients that have not been conclusively proven in clinical trials to aid weight loss, but they may be proven as effective in humans in the future. Even with these ingredients, it appears that the product is strong enough to have a clear effect upon weight loss. Where Can I Buy Complete Thermogenic? A single bottle of 90 capsules costs £13.99, whilst the larger bottle of 270 capsules costs £37.99: the larger bottle is more cost effective, but for first time customers we would suggest purchasing the smaller bottle, in case the product is not suitable for the customer. Delivery is free for purchases over £49 when delivering within the UK, and there are several pricing options available for smaller purchases. Delivery is also available within Europe. There is no money back guarantee for the company who manufactures and sells Complete Thermogenic. Their returns policy is to return goods within the 7 days following delivery. Customers need to contact the company before sending the return. Returns should be sent to the following address: Unit 2, Easter Park, Axial Way, Colchester, CO4 5WY, United Kingdom. In general we recommend that consumers avoid citrus aurantium based supplements, but there are thousands of people who have used this ingredient to great success with little or no side effects. Ultimately, the decision to use this ingredient is up to the consumer, but we would advise that anyone with high blood pressure, serious health issues or a sensitivity to stimulants definitely avoid this ingredient. However, for people who are specifically looking for a strong thermogenic, metabolism boosting diet pill that contains citrus aurantium and other clinically proven stimulants, this could be a fairly good option. The product is cheap compared to similar products, and the customer reviews are overwhelmingly positive. Many of the ingredients are clinically proven in humans, and even the other ingredients have some support from preliminary animal trials. The manufacturer has also received a very good score on trustpilot.com, based upon customer reviews of the company. However, there are some possible side effects, with customers reporting that feeling sick following consumption on an empty stomach being very common. The returns policy is also inadequate, with only 7 days from the delivery date in which to obtain a refund. As mentioned above, there are also some groups of people who should definitely not purchase Complete Thermogenic. Whilst we do not recommend this product to our readers, it may be a potential choice for specific customers who have no health problems and who are willing to ignore the health warnings that are associated with the main ingredient.